During the 2000s, Spain became the world´s leading futsal nation at both international and club level. They won three out of four World Cups and four out of five European Championship in that period. At club level they claimed five of nine UEFA Futsal Cups and reached every Intercontinental Cup Final with just one loss. So how did a country that in 1989 had just formed its national league and was knocked out in the first round of the World Cup reach the top of world futsal in just over a decade? And what can be learned from their example? The foundations for their later success were built during the 15 years before their first World Cup victory in 2000. 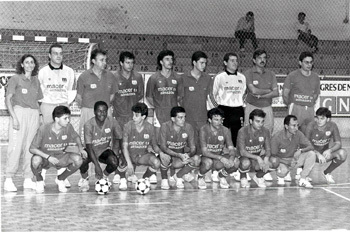 Their league began to attract the best players and coaches, principally these were from Brazil who at the time were far ahead of everyone else and were the dominant futsal power. The name of that player was Javier Lozano and he would go on to coach the Spanish National Team to their two World Cup victories in 2000 and 2004. Another factor was, around the same period, researchers in Spain were looking into the most effective way of coaching team sports. They found the best was a training methodology of using simplified game situations that tested players cognitively, challenging their awareness and decision making. It was further developed by coaches such as Lozano’s successor as Spain’s Head Coach, Venancio Lopez. It is an integrated form of training, meaning rather than working separately on the individual components of technique, tactics, physical and decision making; they are worked on simultaneously in the same exercise. The outcome of training in this way is the development of players with exceptional game intelligence. In summary, Spain took an approach of learning from the best and then adding to this knowledge and the result was numerous titles and becoming the undoubted world leader in futsal. In turn, this success meant the Spanish model then became the reference for coaches, clubs and countries, including their former mentors Brazil. As it was disseminated around the world, the competitive advantage they had built eroded. The established nations such as Brazil and Italy had to learn lessons if they wanted to win titles again. Brazil didn’t necessarily acknowledge this but it happened naturally as the top Brazilian players were playing in Spain and they formed the basis of their last two world cup winning squads, including the coach in the 2012 victory. Italy, coached by Roberto Menichelli, won their first UEFA Futsal Euro in over 10 years playing in a style clearly influenced by Spain. The effect of the Spanish model was more noticeable lower down when developing futsal regions started importing Spanish coaching knowledge. These countries improved rapidly and are now challenging the traditional powerhouses of world futsal, resulting in international futsal being much more competitive with fewer one sided games. This replicates what happened in 11-a-side football 30 years ago when coaches from Europe and South America began working in other parts of the world. Two examples in futsal are Thailand who were previously led by former Santiago Futsal coach Pulpis and Japan with Miguel Rodrigo in charge, both countries reached the knockout stages for the first time at the last World Cup. 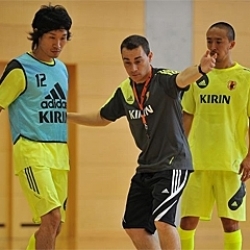 Japan has made huge strides in futsal since 2009 when they employed then Caja Segovia coach Rodrigo to take charge of the national team and develop their coach education. They have won back to back AFC Futsal Championships which previously Iran had won on 10 out of 11 occasions. Japanese clubs have also brought in foreign coaches and players, and their clubs are now some of the best in the world which helps develop talent for the national side. These countries recognised that others were ahead and had the necessary humility to learn from them. They are reaping the reward from this attitude with rapid progression. I have had my own experience as a player of this. Several years ago I realised that I needed to go abroad if I wanted to improve further. I went from a part-time player in England to a full time player in Spain which was very challenging but also incredibly enriching. Whilst abroad my game transformed completely. There should be no shame in admitting a need to learn from others and, rather, it should be encouraged. There can be a perception that great coaches developed all their own ideas from scratch and arrived to the top by themselves. I don’t think this is the reality. For example, in football Pep Guardiola is regarded as one of the finest coaches but he was heavily influenced by Johan Cruyff, Junma Lillo (according to The Guardian a former 1st Division futsal player and said to have been his biggest influence), Marcos Bielsa and Louis Van Gaal. Each of whom would have had their own inspirations. Top coaches learn from others and then combine these ideas and develop them further to create their own philosophy. This is what happens with experts in any field, whether sport, science or business; they build on the knowledge and expertise developed by those that came before them. This is how progress is made. If everyone started from the beginning then we would advance very slowly, if at all. It is much easier to get a head start by learning from the current experts. So I think the lesson we can learn from Spain is that those that want to develop in futsal must take advantage of the experience of the best which may be found in other countries. If this is in the area of coaching, I still believe Spain remains the world leader and is the ideal example to learn from. There are so many impressive and experienced coaches with a great passion for the sport outside the established futsal nations but they are often hindered by a lack of access to specific futsal knowledge. The solution to this is either to travel to established futsal countries or bring experts over to learn how they are developing and coaching at both youth and senior levels. It is great to see my country, England, starting to transfer knowledge here from abroad as Spain and Japan have shown is a path to success. There have been clinics with experienced foreign coaches, including those organised by The English FA, so that English coaches can learn from them. It is important to develop local coaches in the long term. England has an advantage in the fact that Spain is right on our doorstep compared to its distance from Japan, making this knowledge much more accessible. English teams and individuals are also improving through traveling abroad to places such as Croatia and Spain so players and coaches can learn from the people there. This is the way forward to progress the sport and to develop local talent. 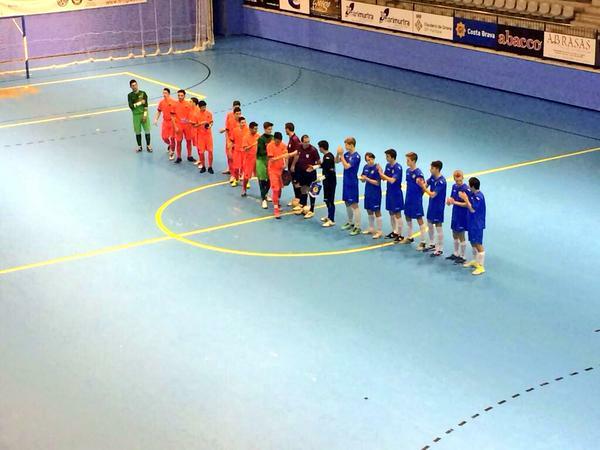 I was at the World Futsal Cup last year to see English youth club Escolla take on Barcelona and you could see the players took so much from the experience. Even when organisations, teams and individuals have caught up the need to update and exchange ideas will never end as the game continuously evolves. Strategies that were prevalent 15 years ago such as forming a defensive block in front of your goal and the 2-2 attacking system, though still having their uses, are no longer so effective at the highest level of futsal. With all this knowledge being transferred across the world it will be interesting to see if tomorrow’s leading futsal nations will be different from today’s. Excellent assessment Doug. Zego’s impact literally changed it up.